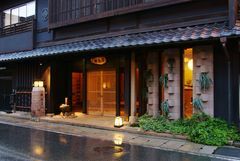 The inn's interior is accented with ancient wood and earthen walls, as well as bamboo creating a natural feel. 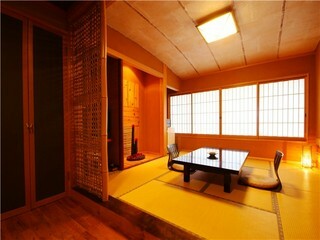 The lobby and hallways are laid with traditional Japanese straw mats for a soothing atmosphere. 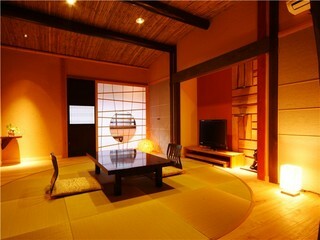 Twelve guest rooms' are designed with the popular and charming 'Modern Japanese' style. A rare extra found in our inn is heated flooring, this is something that our female guests especially appreciate during the chilly winters. Three of our hot spring baths, one an open-air bath, can be used for private bathing. Guests can use these baths to enjoy a soothing hot bath at their own leisure, just simply jump in whenever the bath is free. Our famous Tajima beef (better known as being the origin of Kobe beef) is served from spring to fall. In the winter snow crab is the main delicacy. All of our meals are made with locally raised products, especially for local consumption. Many of ingredients coming from the local Tajima mountains and Sea of Japan. Complete your meal with locally brewed Japanese sake and local beer. We proudly serve you your dinners in your own room so that you may continue to relax. 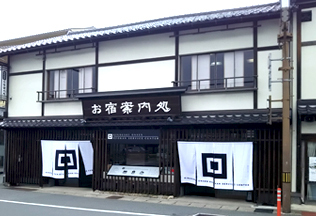 We also provide originally designed men's and women's traditional Japanese yukatas(cotton kimonos) for free rental. 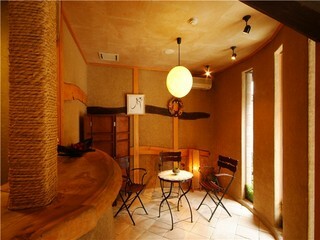 Wood and earthen walls create a warm and soft feeling interior. An appeasing aroma fills the lobby. 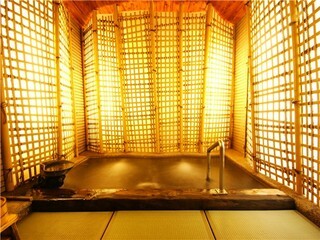 Water resistant tatami (Japanese straw mats) covers the floor of this pure Japanese style private bath 'Chikuyo no Yu'. There are a total of 3 baths, all can be used privately. Max usage time: Guests can use the bath for up to 45 minutes per bathing period. Fee: These baths are free to guests. There is conditioner, shampoo and body wash available in the baths. There is a free private parking lot beside the inn.